Friday’s devastating white supremacist massacre at two mosques in Christchurch, New Zealand, may have occurred more than 15,000 kilometres from Iqaluit, but the attacks have left the roughly 300 Muslims who live in the Nunavut capital feeling upset and shaken. “It is upsetting and very sad that you can enter a holy place where you thought you were safe and that’s what happens,” said Abdoul Ibn Houssein of Iqaluit’s mosque. “These people were also in a place they thought was safe. That is why we need to talk about these issues to raise awareness and protect our community,” Ibn Houssein said. Fifty worshippers were killed in the shootings on March 15, and at least that many were left injured. Officials say a 28-year-old Australian man, Brenton Tarrant, has been charged with murder. Tarrant, a self-described white supremacist, had posted a 74-page hate manifesto on social media in conjunction with the attack. Ibn Houssein has lived in Iqaluit for nine years. 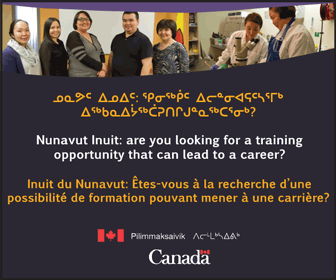 He owns a company, Nunavut Moving and Services, and also works for the Government of Nunavut. 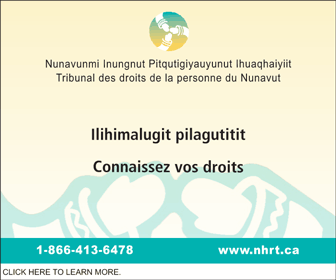 But the shootings have prompted some to discuss the safety of Muslims in Iqaluit. Ibn Houssein said he’s heard stories from taxi drivers who are told to go home or taunted with the name “Bin Laden,” in reference to the late Osama bin Mohammed bin Awad bin Laden, who helped mastermind the 9/11 terrorist attacks. “Some people fear it’s just an amount of time before something happens here,” Ibn Houssein said, noting the prevalence of firearms in Nunavut. But Ibn Houssein said he’s convinced the best way to combat extremism, on both ends, is to reach out and inform people. “We stand all together against racism, against oppression, against Islamophobia and against terrorism,” he said in a message on an Iqaluit social media news page, prompting numerous expressions of support. Memorial this Tuesday at 3 p.m.
Ibn Houssein said the Iqaluit mosque plans to hold a commemoration in support of tolerance and the victims of the New Zealand shootings this Tuesday, March 19 at 3 p.m.
And the Islamic Society of Nunavut will also hold its regular weekly food bank distribution this Saturday. “This is a way to fight back Islamophobia and show we Muslims are part of this community because we are part of this community as well,” Ibn Houssein said. A similar commemoration took place a little more than two years ago, following a mosque shooting in Quebec City on Jan. 29, 2017, in which six worshippers died and 19 were injured. Then, more than 80 Iqalungmiut took time from their lunch breaks to observe a moment of silence, as they held hands in a big circle in front of the Iqaluit mosque. 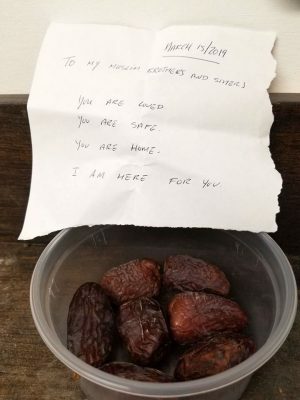 Over the weekend, expressions of love and support from people in Iqaluit helped Ibn Houssein and other Muslims in the city cope with their shock and sadness. 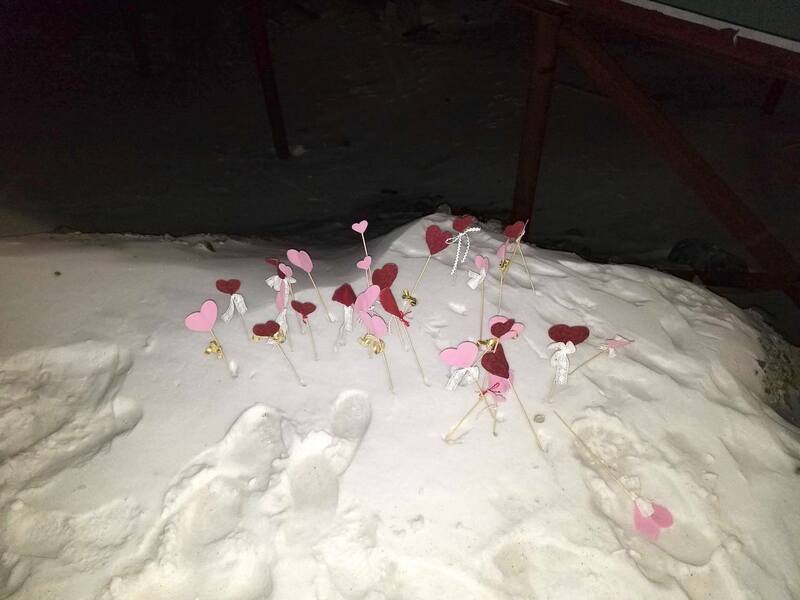 On Saturday night, when they went to pray at the mosque, they found hearts stuck in the snow. Others left sweets, cookies, bannock, stew, flowers and notes. While the 2016 Canadian census recorded 100 Muslims living in Iqaluit, Ibn Houssein said he knows of at least 300. 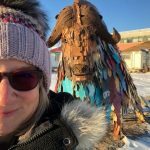 There are also Muslims living in other communities across the territory, from Pond Inlet to Cambridge Bay, who have also been in contact with him recently for support. The Iqaluit Masjid or mosque, which opened in 2016, is the first in Nunavut. It features a thin minaret tower topped with a crescent moon, holds five daily prayers, Friday and Eid prayers, open houses and other community events, such as a food bank distribution.